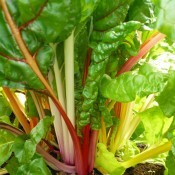 Chard was believed to have originated somewhere in the Mediterranean as it was known to the ancient Greeks and Romans. By the sixteenth century, several varieties were available. The word Swiss was used to distinguish chard from French spinach varieties by nineteenth century seed catalogue publishers. Swiss chard, known as leaf beet and spinach beet, is actually a type of beet that develops lush leaves rather than a fleshy root. It tastes somewhat like spinach and be cooked in the same manner. There are many varieties in an exciting range of colour combinations, making this crop a great candidate for any garden. 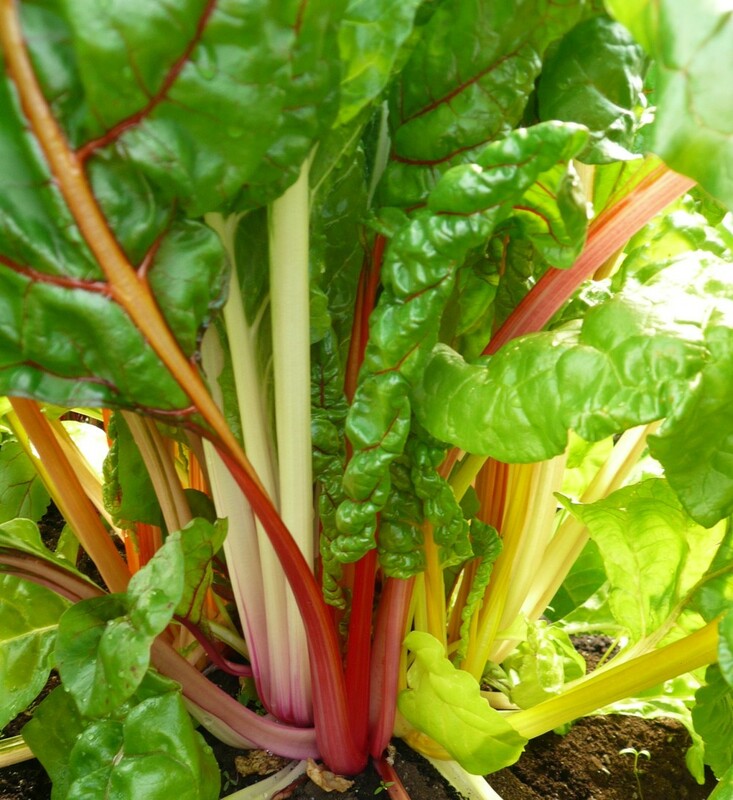 Companion plants to Swiss chard include beans, Brassicas (i.e. Brussels sprouts, cauliflower, kale, etc. ), and onions. Excellence source of potassium, dietary fiber, vitamins A, B, and C, and iron and also provides some calcium. One cup of raw Swiss chard is only 7 calories and one cup cooked is 26 calories. With a knife, cut all the stems of the Swiss chard at once, but leave 2 inches (5cm) of the plant at the base intact. The plant should re-grow fresh young leaves. To harvest individual stems; pick them from the outer edges of the plant. Don’t let the leaves grow larger than 10 inches (25cm) because of poor taste. Baby Swiss chard leaves are excellent for adding a mesclun salad mix. Refrigerate unwashed in a plastic bag for up to 3 days.